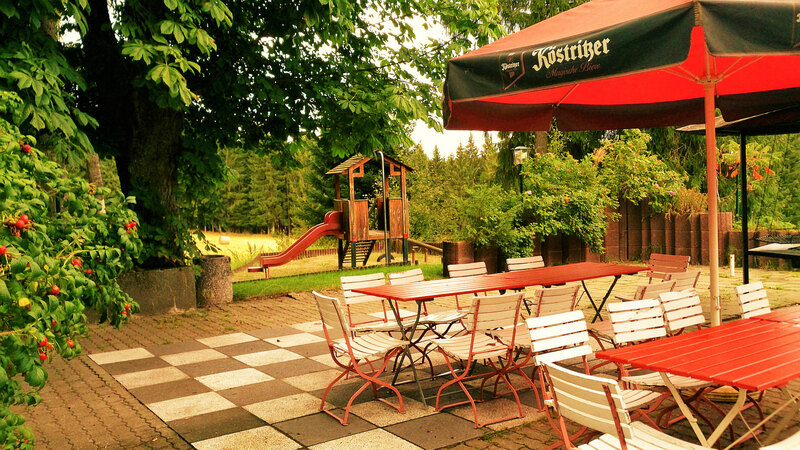 In the warm season you can dine in our beautiful beer garden. 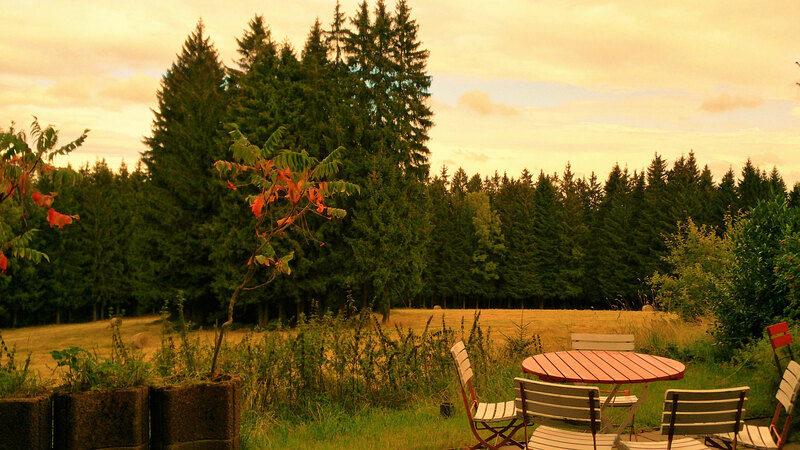 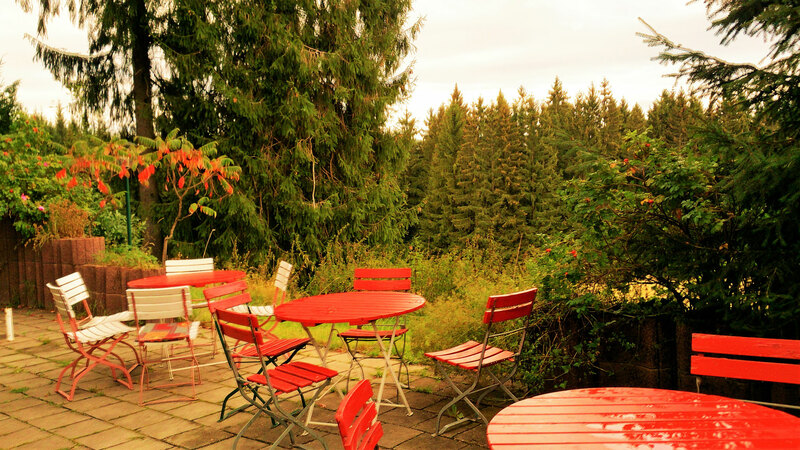 You can have a barbecue or relax enjoying coffee and cake and the view of the forest. 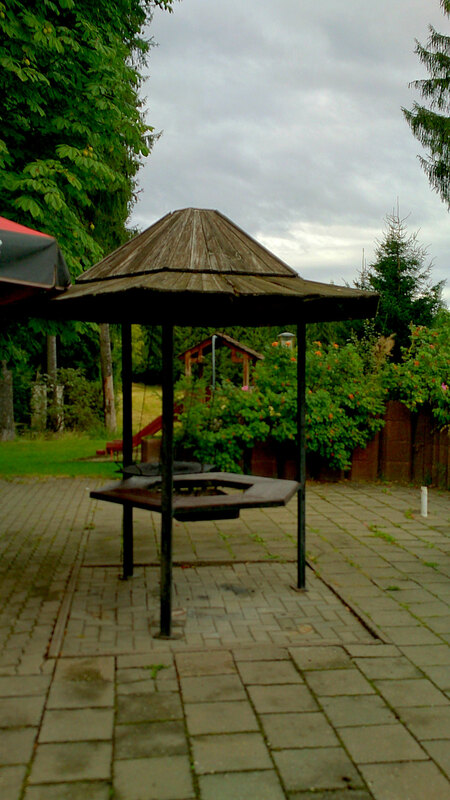 A barbecue area and a small playground are at your disposal..
We are happy to serve you in our beer garden!